The Maran brothers - Dayanidhi and Kalanithi are two of the most influential names in India, as far as the business and television circuits as well as the Southern political clout is concerned. Belonging to a politically powerful family, the brothers are the sons of Late Mr. Murasoli Maran and the grand nephews of M Karunanidhi. Dayanidhi Maran was the former Telecom and Information Technology Minister in the UPA Govt. He later held the position of the Textiles Minister. Kalanithi, the elder and more dynamic of the two, is the Founder, Chairman and MD of the Sun Group – one among the premier and the largest privately owned television networks in India. He was also the owner of Spicejet airways. The vast media and entertainment empire of the Marans includes the Sun TV Network with its 20 channels and 45 FM channels, DTH service and two newspapers and four magazines, along with film production and distribution businesses. 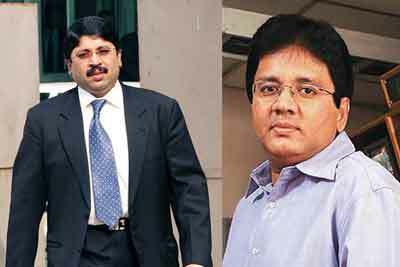 Things took an ugly turn for the Maran brothers and their empire, when there was a CBI inquiry against them in the highly controversial 2G Spectrum Scam for their alleged involvement in the Aircel-Maxis deal. 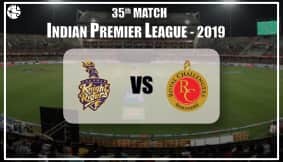 Things look even more difficult for their television network and their IPL team Sunrisers Hyderabad—with the Madras High Court declining to lift the attachment of assets worth Rs. 742 crores in connection to the Aircel-Maxis case. They were also recently refused a security clearance with regard to the SUN TV Network, owing to their alleged involvement in the ensuing legal battle. As per the Solar Horoscope of the SUN TV Network, the malefic Ketu is placed Natally in its Finance House (2nd House) and the Lord of this House is Venus, which is placed retrograde in this Chart's 12th House (of losses) in Pisces. Thus, it is clear that the basic/ Natal Chart itself of the organisation is not very strong from the financial perspective. The company may constantly suffer from debt and financial liabilities. There may also be almost a perpetual imbalance between the cash inflow and outflow of the giant Television Network. Thus, Astrology confirms that SUN TV Network may have financial struggles on general level. 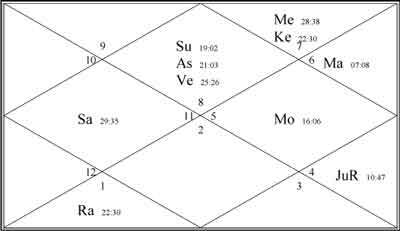 Now, currently, as per its Solar Horoscope, the gigantic Television Network is passing through a Rahu Mahadasha period, which started from 30th June 2013, and shall be in operation till 30th June 2021. This period is typically marked with struggles, confusions, disillusions and controversies. Overall, such a period is considered not great of a person's/ entity well being. Now, when we combine the Mahadasha situation with the financially weak Natal Chart of SUN, we can surmise that, in absence of planetary support, SUN would continue to struggle, and the going may remain tough for this company. 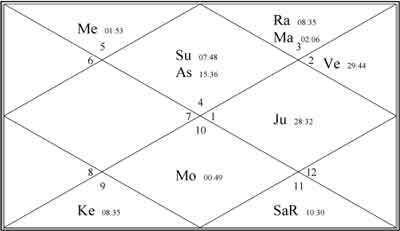 In view of transiting planets, now Ganesha notes that the transiting Ketu is passing over the Finance House Lord in SUN TV's 12th House, which will continue till 30th January 2016. Currently, this transit is happening degreecally, which enhances its effects. This is an additional negative factor, which has jeopardized SUN's fortunes, and of which it will have to be pretty careful. Ganesha, somehow, sees a ray of hope for SUN TV Network in form of the transiting Jupiter that is currently aspecting the company's Natal Moon. This supportive factor will help in keeping the overall sentiment about the company—in and outside the organisation—quite positive. Conclusion – Broadly, Ganesha feels that the SUN TV Network will continue to face troubles. There may be financial losses, but the company will be able to float through, thanks to Jupiter's support. But, this is a tough period, and security clearance may be quite difficult to attain. The dynamic founder of the SUN TV Network and the brain behind the fortunes of this dynasty Mr. Kalanithi Maran has a very strong Natal Chart. His Solar Horoscope is quite good, and he is likely to be very insistent, staunch and aggressive in all matters—as suggested by his stars. 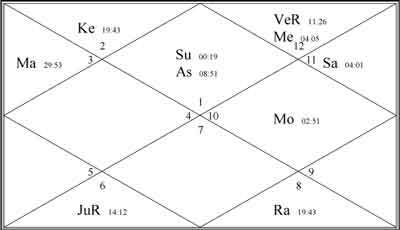 In Maran Sr.'s Solar Horoscope, the Finance House Lord Sun is placed in Cancer Sign. This is a good factor. Plus, Swagruhi Venus and Sawgruhi Saturn give strength to his Horoscope. The transiting Jupiter is also passing over his Finance House Lord Sun right now. After July 2015, Jupiter will start to transit through his Finance House itself, which will help him invite external investment, in form of an increase in FII stake or some FDI, says Ganesha. This fund that he generates may be in order to bail out the flailing SUN TV Network. Thus, Ganesha feels that Kalanithi Maran will be the one who will be able to move the government authorities/ political help, and would be able to salvage the situation to some extent. He may also be able to save himself and his company from legal hassles, to some extent, till July 2015. A Word of Caution - May, June, July 2017 would be an extremely problematic time for him – there may be financial issues and major domestic conflicts, which may put him in trouble at this time. Take care! The younger Maran brother has been a prominent political figure. Owing to the Aircel-Maxcis controversy, his political career has suffered immensely. In his Solar Horoscope, the Lord of the Finance House is Jupiter, and it is placed in Cancer. His Ascendant Sign is Scorpio, and Saturn is currently transiting through his Ascendant. Things may get tougher for him in the times to come, suggest the stars, when Saturn would be passing degreecally over his Ascendant Lord. The Political Angle – The coming time will not be in Dayanidhis' Favour, especially his political career. His health and his relations with government figures may get spoiled in this time. The year 2016 will be specially tough for him. He may further get embroiled into a controversy – or the government regulatory authorities may question him. next two years will ensure good financial strength for him, as the transiting Jupiter will pass over his Natal Jupiter, Moon and Mars, which is a highly positive point. A Word of Caution – Watch health and political career in the year 2016. 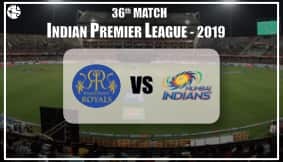 The IPL team owned by the SUN TV Network has Saturn as its Finance House Lord. It is Natally exalted in the Zodiac Sign Libra in the IPL team's Solar Horoscope. This planetary factor is indicative of slow but stable growth. But, in terms of financial returns, this team will have a slower than usual pace. In view of the transiting planets, since Saturn is moving through Scorpio, things may remain tough for this team, as Scorpio is the House of Losses for the team's Solar Horoscope. For Sunrisers Hyderabad, Ganesha confirms that the current time is not favourable. But, its basic Horoscope has due strength, which is a good time. Overall, Ganesha feels that this team will be able to sustain itself, as Jupiter will be transiting through its Destiny House aspecting its Natal Moon from 15th July 2015.